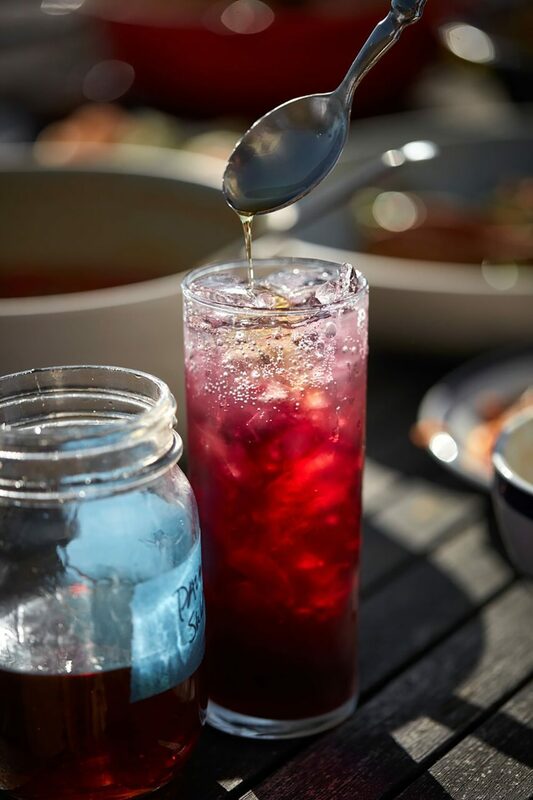 Try out this gluten free summer drink at your next party. They will be delighted with this sweet and sour concoction. SERVES 4 Sour and slightly sweet, this colorful thirst quencher by the team at San Francisco’s beloved Burma Superstar restaurant can be easily enhanced with vodka or gin. Rinse the hibiscus flowers, then soak them in a small nonreactive bowl of water for 1 hour to soften. Drain and transfer to a pot with 4-1/2 cups water and the sugar. Bring to a simmer and cook until the flavor of the hibiscus flowers has been extracted, about 15 minutes. Let steep 20 minutes longer, then strain into a pitcher and refrigerate until completely chilled. Fill 4 glasses with ice. Stir, divide the drink among the glasses, and serve.